In Large-Eddy Simulations (LES) of turbulent dispersed flows, modeling and numerical inaccuracies are incurred because LES provides only an approximation of the filtered velocity. Interpolation errors can also occur (on coarse-grained domains, for instance). These inaccuracies affect the estimation of the forces acting on particles, obtained when the filtered fluid velocity is supplied to the Lagrangian equation of particle motion, and accumulate in time. As a result, particle trajectories in LES fields (shown in light blue and white in Fig. 1) progressively diverge from particle trajectories in DNS fields (shown in blue in Fig. 1), which can be considered as the exact numerical reference: the flow fields seen by the particles become less and less correlated and the forces acting on particles are evaluated at increasingly different locations. In this paper, we first review models and strategies that have been proposed in the Eulerian-Lagrangian framework to correct the above-mentioned sources of inaccuracy on particle dynamics and to improve prediction of particle dispersion in turbulent dispersed flows, with specific reference to preferential concentration and wall deposition in gas-solid flows. In particular, we will discuss and compare structural models, which aim at reconstructing the entiresub-filter fluid velocity field (and, hence, its effects on particle motion), and stochastic models, which aim at retrieving only some statistical features of the sub-filter velocity field. We will then present recent modeling advances, with specific reference to stochastic models. In particular, we will present a new formalism, recently proposed by  to extend the Filtered Mass Density Function approach developed by  to turbulent polydisperse two-phase reactive flows. Based on this formalism, the velocity-filtered density function is simulated through a Lagrangian Monte Carlo procedure that solves a set of Stochastic Differential Equations along individual particle trajectories. Assessment of the resulting model (including consistency in the limit of particles with zero inertia) will be presented for the reference case of particle-laden turbulent channel flow . The capability of the model to capture the particle preferential concentration and near-wall segregation will also be discussed. Cristian Marchioli is Associate Professor of Fluid Mechanics at the University of Udine and Editor of Acta Mechanica. In 2011-2015 he served as chairman of the COST Action on “Fiber suspension flow modeling” and, in 2016, as scientific secretary of the 9th Int. Conference on Multiphase Flow (ICMF 2016). Currently, Prof. Marchioli is member of the scientific council of the International Center of Mechanical Sciences, where he coordinated the 2013 and 2014 advanced schools on particle dynamics in turbulence. His research interests involve multiphase flow modeling, from small-scale particle-turbulence interactions to large-scale modeling of gas-solid/gas-liquid flows. He has edited the book “Collective dynamics of particles: From viscous to turbulent flows” (Springer), and has contributed to ERCOFTAC’s “Best practice guidelines for computational fluid dynamics of dispersed multiphase flows”. Prof. Marchioli has published 50+ papers and 100+ conference proceedings on multiphase flow modeling and simulation. He has also delivered several invited and keynote lectures (among others: 20th AIMETA Conf. in 2011, 13th Int. Conf. Multiphase Flows in Industrial Plants and Nordita Conf. 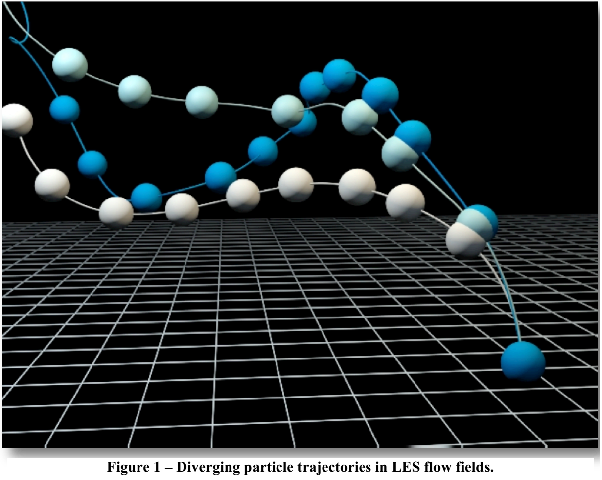 on Dynamics of Particles in Flows in 2014, 3rd Int. Conf. Numerical Methods in Multiphase Flow in 2017).